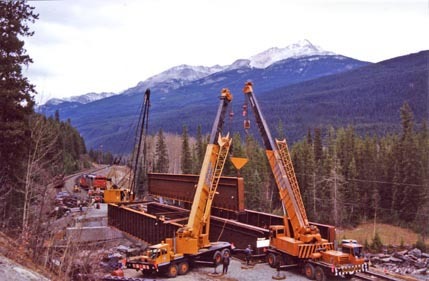 All Terrain Construction is an Armstrong, BC based commercial construction company specializing in bridge building and maintenance for the Forestry, Highway, and Railway sectors. Our focus is on providing excellent workmanship while maintaining honesty to the project and the client without cutting corners to achieve project goals. We are continually striving to improve and expand our knowledge of bridge building as well as the evolving safety and environmental aspects of the industry. Some of the organizations and government ministries for whom we have contracted can be found on our Client List. For more photos and descriptions of specific undertakings, visit the Forestry, Highway, and Railway sections of the website. The work All Terrain Construction performs has received some positive acknowledgements which you can read about in the References section. All Terrain Construction is accomplished and proficient at completing Forestry projects. 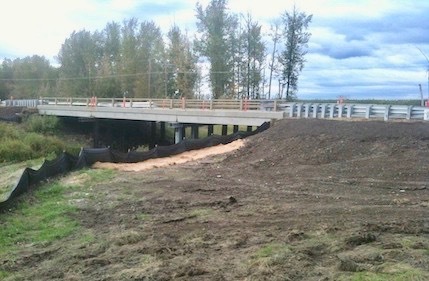 Highway bridge repair and replacement are now second nature to All Terrain Construction. Railway bridges and trestle repairs are an anchor of All Terrain Construction. All Terrain Construction is a commercial construction company based in Armstrong, BC.